Our Students’ Future: What do we expect Texas students to know and accomplish in the 21st Century? This short video provides a glimpse into future Texas schools to justify the need for college and career readiness. Accountability and College & Career Readiness: Why is college and career readiness at the top of discussion for school redesign? Why are most school reform efforts focused around college and career readiness? Texas educators are now accountable for college and career readiness. 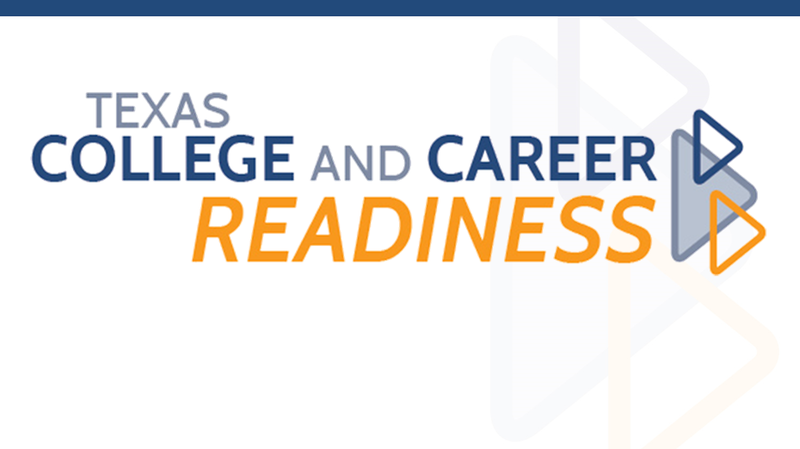 This short video explains how Texas came to expect college and career readiness for all students and how to frame our thinking around possible solutions. Secondary Students Speak Out on College and Career Readiness: Texas secondary students speak out and discuss their readiness for college and careers. What are schools doing to ensure all students are world ready? A Business & Industry Perspective to Employees: This short video tells a story of what businesses/industries expect from students as they enter the workforce. The emphasis on 21st Century Skills, or Soft Skills, has never been greater. Are Texas schools providing opportunities for students to learn these skills to build a better Texas economy? Post-Secondary Faculty Perspective to College Readiness: What is the skill gap between a high school student and a college student? Two post-secondary educators discuss what skills students need to succeed in a college environment. A Post-Secondary Student Perspective: “I wasn’t ready”: Listen to what a new college student says about her experiences in high school. Did her high school prepare her for college? Was she able to access resources to help her be prepared? While most high schools provide multiple options for students to build capacity to do well in further studies, some educators believe we have a long way to go before we reach all students. Leadership Development through the Texas College and Career Readiness Profile Planning Guide: This expert shares some valuable information as to how to build a college and career culture using effective communication skills. Effective dialog is essential in this process and ownership across all stakeholders is needed to realize our full potential working in Texas schools. A Principal’s Perspective using the Texas College and Career Readiness Profile Planning Guide: A former principal shares insights to the Texas College and Career Readiness Profile Planning Guide and how it can be used to create organization and efficiency as schools develop their Campus Improvement Plan.